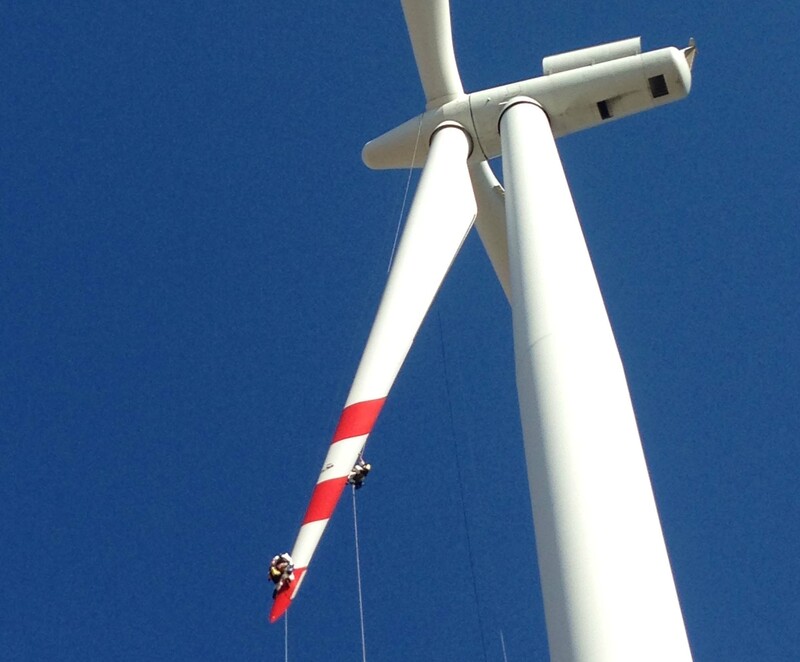 Our highly specialised and experienced teams of IRATA and SPRAT certified Rope Access Technicians are a fast and cost efficient solution for a range of wind turbine maintenance activities. Complementing our rope technicians we utilise blade access platforms supplemented by our patented Ventura Habitat to provide weather proof all-year solutions. We also have in house fabric maintenance expertise drawing on many years experience in the oil & gas sector and are therefore able to provide teams for all paint damage related activity. As Europe’s leading wind turbine maintenance companies, you can expect to see our teams working on over 40 wind farms on and offshore annually – more than any other maintenance company. Our origins where focused on the provision of asset integrity services across the energy sector. It is therefore no surprise that the wind industry recognises this level of expertise and relevance for all areas of paint damage to both wind turbine internal and external areas, transition pieces and substations. Our in-house resource includes experienced fabric maintenance teams supported by NACE Level 3 coating inspection personnel to guarantee the work performed in accordance with client and manufacturer specification. While recognising the importance of traditional methods of coating protection where appropriate, we are also an industry leading innovator and constantly looking for new methods that offer our clients a more cost effective solution.